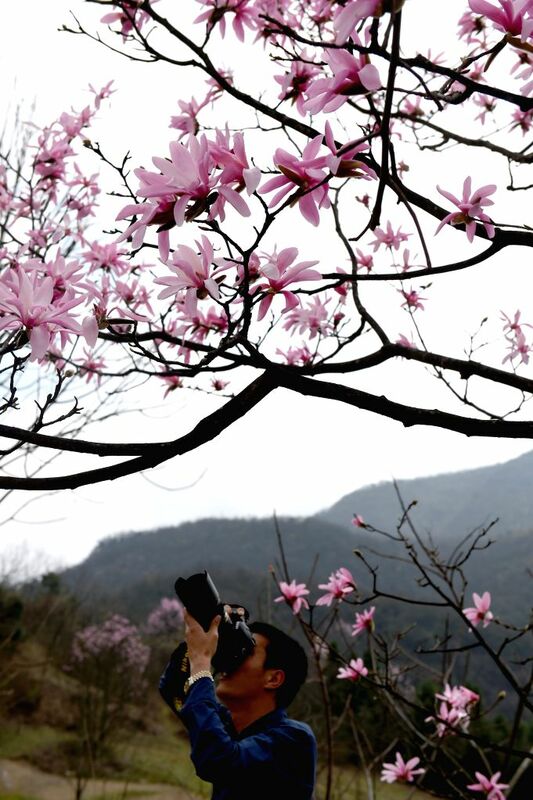 WUFENG, April 1, 2015 - A tourist takes photos of wild magnolia wufengensis in Wufeng Tujia Autonomous County, central China's Hubei Province, March 31, 2015. Blooming flowers in Wufeng have attracted many visitors. 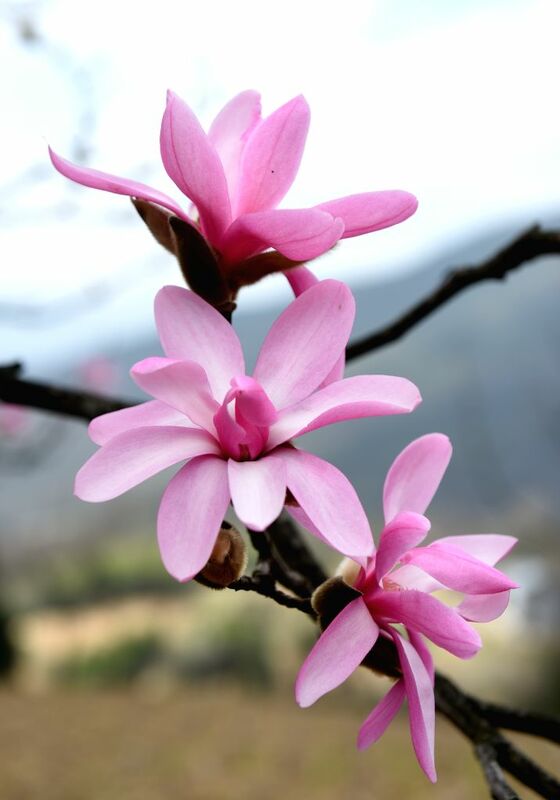 Wild magnolia wufengensis are in full bloom in Wufeng Tujia Autonomous County, central China's Hubei Province, March 31, 2015.